I’m starting to like where this book is going. Chapter 5 introduces the idea of boys as HEROes, and that’s an idea I can get behind. My years of parenting, educating and helping boys has taught me that boys have an interval drive to succeed. They have a deep, internal need to master challenges, and if they feel a task is worthy, they will do almost anything to achieve it. That’s boy power. It’s innate in our sons and students. And we can use our knowledge and understanding of that power to help our boys grow into fine young men. Chapter 4 is about What a Boy Learns from Dad. My boys and I are incredibly lucky in this regard. Their father and I may be divorced, but we are both still very much involved in our kids’ lives, and that’s a good thing for our boys. Their dad has always nurtured them in different ways than I have, and as the book describes, boys need both maternal and paternal nurturing. Dads, typically, are the ones to push boys higher, faster, stronger; moms worry about boys getting hurt. And while that doesn’t hold true in every family, the truth is that my boys’ dad is very good at challenging and providing our boys with the opportunity to grow beyond their current comfort zone. That’s hugely important to boys, because when boys master a challenge, they feel competent and successful. Of course, not all boys have involved dads. If the boy in your life doesn’t have a dad in the picture, are there other males who can provide him with male guidance? The older my boys get, and the more I research and learn about boys, the more I’ve come to realize that it’s absolutely essential for boys to have guidance from adult males. If dad is not around, look to the extended family. Are there uncles or grandfathers who can spend time with the boy? Coaches and male mentors can help too. Chapter 6 focuses on Building Character & Self-Discipline Effectively. Both failure and success, the authors say, provide opportunities for boys to become men of character. It’s up to us to guide them — and to allow them to experience their own failures and successes. Our boys need us to allow them to learn from their failures just as surely as they need us to celebrate their successes. How do I respond to my son’s successes? How do I respond to his failures? Have I established and effectively communicated boundaries for acceptable behavior? I’ll be honest: Chapter 6 made me realize that I may not be doing enough to celebrate my boys’ successes. All of my boys are making great strides in the areas of honor, enterprise, responsibility and originality, and I fear I gloss over their accomplishments because it’s what we expect of them. I now realize that I need to give my boys kudos when kudos is due. If I want my boys to grow up to be men of character, I need to let them know when they’re on the right path. What about you? 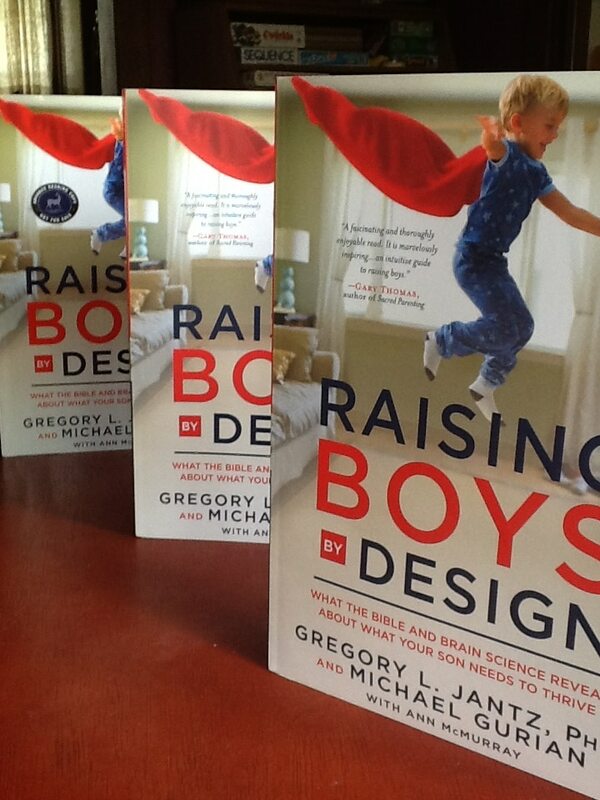 What thoughts are going through your mind as you read Raising Boys by Design?